Posted on November 20, 2011 by Jenn H.
Happy Sunday, everyone! Hope you all had a great weekend! I jam packed my weekend with a ton of stuff to do and kept very busy. On Saturday, I decided to sleep in just a little, but I was still up fairly early…8:30 or so. I got up and puttered around the house a bit and then left around 10:45 or so, to head to my hair appointment at the Aveda Institute in Orlando. I had never been before, but I had a good friend recommend the place to me, so I figured I’d give it a shot. It was super close to where I live, so I’ll probably continue to go there. I haven’t had any luck in the past year finding a good stylist since I moved here & the stylists at the Aveda Institute are students & have the instructors come over and inspect there work, so it was all good. I even found out that they do manicures for like $10….you pick the O.P.I. polish of your choice and take it back with you to get your nails done and then you keep the whole bottle of polish! Is that a deal or what!! Will definitely be taking advantage of that offer in the near future. After my two hour haircut…I headed out and did some running around at Hobby Lobby & Target. I wasn’t in Target long, but I must of had the shopping bug that day, as I walked out with a new grey sweater, a gorgeous magenta scarf (that was on clearance! ), a new pair of black flats, that were just ridiculously comfy & a winter hat…then of course the last Harry Potter dvd to finish up my collection. I never buy anything for myself, so I didn’t feel to bad spending the money. After Target, I was hungry, so I ran home and ate some leftover pizza, because there was no way I was going grocery shopping hungry. So after I ate, I headed to Wal-mart to pick up food for a couple different events I volunteered to take food for this week. While I was there, I wandered down the candle aisle and picked up a couple new wax tarts for my wax warmer at home. 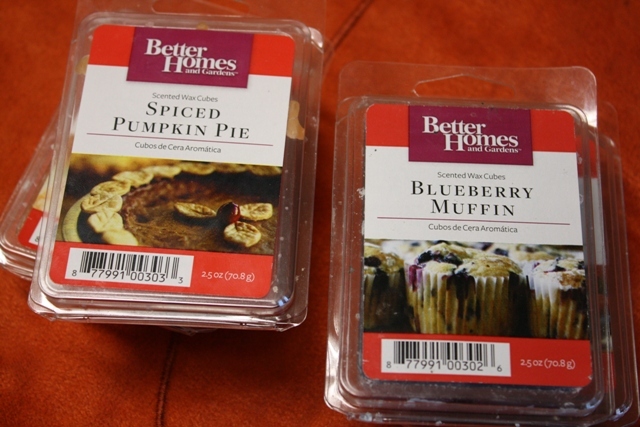 I picked up blueberry muffin & spiced pumpkin pie. Both smell divine in the containers. I decided to warm up the blueberry muffin scent today & OMG does it smell good! I had it going this morning & then I shut it off when I went out for about 4 hours and when I came home the house smelled so freaking good! Well, after all that running around Saturday I was still wound up at 9:30 that night and I knew there was no way I was going to be ready for bed anytime in the near future, so I broke down and went to see the movie “Breaking Dawn” like everyone else did this weekend! I won’t bother reviewing the movie since it’s so popular and I don’t want to slip up and spoil it for anyone that hasn’t seen it yet. I’ve always been Team Edward, but let me tell you…Jacob was mighty fine in this one! Hot, Hot, Hot…I tell you…Hot! It was really an awesome movie & Kristen Stewart’s acting was a whole lot better in this film than any of the others! I will give you one pointer though….make sure you stay through the credits….there is an additional scene, once the credits finish rolling! So resist the urge to jet & just sit back and relax. The credits aren’t super long, like they are on a Pirates movie or anything. Now I’m just bummed I have to wait an entire year to see part 2! I thought they would have at least released it within 6 months…or brought it out for a big movie weekend like over the 4th of July. An entire year is just torturous! Sunday morning, I woke up about the same time as Saturday & for some reason I had the urge to clean. So the entire house got totally cleaned, straightened up, dusted, etc… I don’t get the urge to do the entire house very often, but it was much needed and now it’ll be nice to be able to come home after my Turkey Day vacation to a clean house. After my 3 hours cleaning frenzy, I got all cleaned up and made a platter full of sandwiches to take to a going away party for one of the best darn instructors at my workplace. It’s sad to see him go, but he got an offer to work for Disney Imagineering. I was so happy to hear that he got such a dream job…what an amazing opportunity! I wish him the best of luck! So we spent the afternoon at their club house with several people, grazing on yummy food, drinking rum & coke…as the party was pirate themed! Then we had some delicious chocolate cake that was decorated like a deck on a pirate ship with a little Johnny Depp…it was so cute. It was a really nice way to spend a Sunday afternoon. And it was right on Lake Maitland, which was simply gorgeous! Well…that was my weekend. What did you do? Posted on November 17, 2011 by Jenn H.
I’m not sure of any definite plans for the holiday, other than my fiance` wanting to hit up the Black Friday sales. I’m sure we’ll watch some movies, new and old. What are your favorite Thanksgiving Day movies? 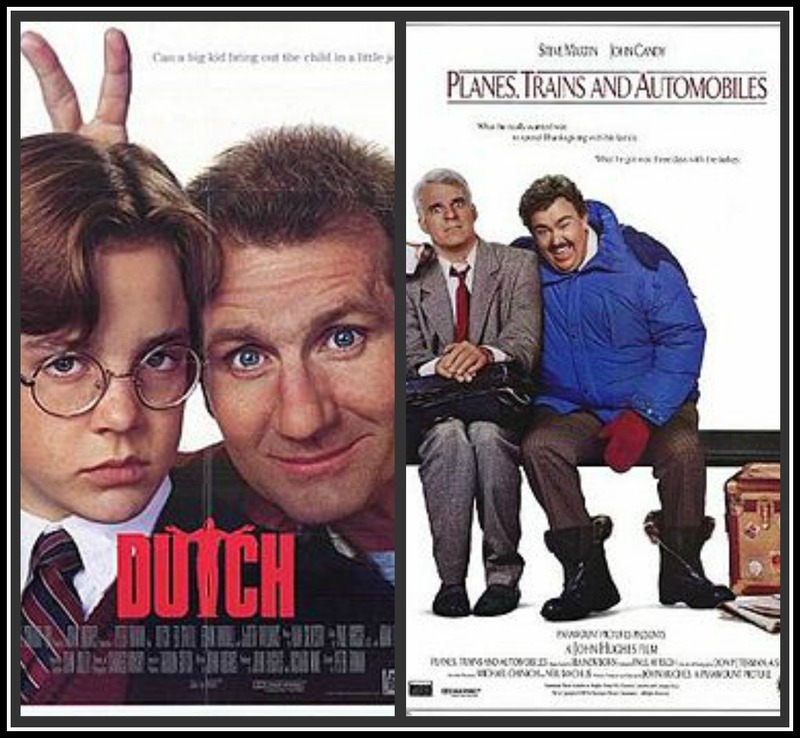 My two favorites are “Dutch” & “Planes, Trains & Automobiles”. Can’t go wrong with those two babies for a good laugh! I’ll leave you with one of my favorite Muppets….The Swedish Chef on cooking a Turkey! Too Funny! Posted on November 16, 2011 by Jenn H.
Well, it’s that time of year, where the Christmas decorations come out, all the stores are playing Christmas music & people are starting to plan there Black Friday shopping plan of attack. As much as it irks the hell out of me when people have there trees up before Thanksgiving, you can’t help to get a little bit excited of the fast approaching Christmas season. When I visited Caitlin’s blog today I seen she had posted a X-mas meme & I find them hard to resist, so I thought I’d follow suit. 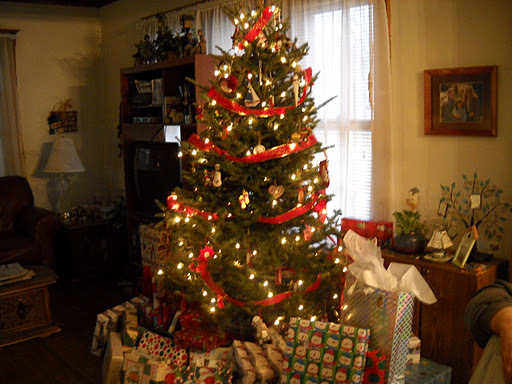 Below is a pic of the X-mas tree at my parents house a couple X-mas’s ago, as I spent last X-mas all by myself for the first time…It sucked & I hope I never have to do that ever again! 1. Egg Nog or Hot Chocolate? Hot chocolate, for sure! Especially the homemade stuff cooked on the stovetop! Forget that powdered junk! 2. Does Santa wrap presents or just sit them under the tree? Santa doesn’t wrap presents…that’s what the elves are for…duh! 3. Colored lights on tree/house or white? White lights are classic & look pretty, but I love colored lights! We usually change it up. We’ll put white lights on the tree and colored lights on the house. I even like to change up the style of lights we put on the tree. Instead of those little blink lights…I love the look of the old fashioned big colored bulbs…so pretty! 5. When do you put your decorations up? Usually the weekend after Thankgiving or the weekend after. 6. What is your favorite holiday dish? My mama’s homemade stuffing & rolls! OMG…this stuff is to die for and you’d think it had crack in it, it disappears so fast! I was so blessed to grow up with a southern mom that cooks everything from scratch and could put Paula Deen to shame any day of the week! 7. Favorite Holiday memory as a child? Oh, they are all good! My most memorable would have been the X-mas when I was in first grade, so I was probably 6 and my little brother was 3. We walked downstairs and it was like a dream at that age. There was a little table and chairs just the perfect height for my brother and I. I got a crayola art desk that year…my favorite present ever! I also got metal roller skates that you slipped on over your tennis shoes & I loved rolling around the house in them because they made me taller. I also got a baton that year, which I was super excited about until my little brother got a hold of it and knocked my two front teeth out! It made for some toothless school pics! 8. When and how did you learn the truth about Santa? I don’t know what you’re talking about…HE’S REAL! 9. Do you open a gift on Christmas Eve? Yes, we used to exchange gifts with my cousins when we were super young, but then we didn’t get together when we got older. We did usually talk mom into letting us open up our X-mas presents from my aunt in Colorado on X-mas Eve. 10. How do you decorate your Christmas tree? Growing up my siblings and I would get a new ornament every year from where ever we vacationed that year & I’ve continued that tradition of getting a new ornament where ever we vacation! My parents tree holds most of those ornaments from growing up, along with several ornaments we made in grade school. 11. Snow! Love it or Dread it? Love it on X-mas morning & that is it! It’s one thing to love it when you are a kid, when your only worry is which hill you’re going to sled down first. But when you’re older and have to drive and go to work in the stuff…BLAH! Hate it! That’s why I moved to Florida. If I want to experience snow I’ll go to Mickey’s Very Merry Christmas event where they make it snow at Magic Kingdom. 12. Can you ice skate? No way….me and ice don’t get along! I’m like Bambi on ice…just can’t do it! 14. What’s the most important thing about the Holidays for you? 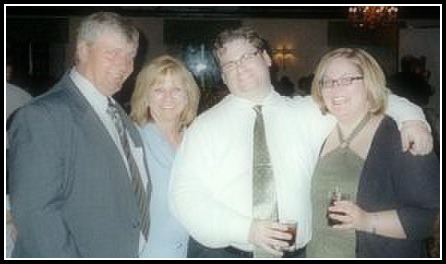 Being with my fiance and my family. 15. What is your favorite Holiday Dessert? Mom’s homemade sugar cookies with pink icing. 16. What is your favorite holiday tradition? Jumping up and down on everyone’s bed at 6:00am….they’re lucky it’s not earlier! I also have to watch “The Christmas Story”! 17. What tops your tree? An old St. Nick, but he looks more like Gandolf from Lord of the Rings…LOL! 18. Which do you prefer giving or receiving? I love giving gifts…I think I get more excited seeing them open it, than opening anything for myself. I get pretty excited both ways though! I’m like a little kid on Christmas! 19. Candy Canes: Yuck or Yum? Eh…they are okay. Not a huge peppermint fan, but I don’t dislike them. 20. Favorite Christmas show? Show or movie? Christmas movies are my favorite type of movies! My absolute favorites are Love Actually, The Holiday, The Christmas Story, Elf, Home Alone, Miracle on 34th Street, Christmas Vacation….I could keep going, but I’ll stop. Now if it’s a show that’s on every year, I’d have to go with Rudolph The Red Nosed Reindeer or A Charlie Brown Christmas…I love his sad little tree. 21. Saddest Christmas Song? The Christmas Shoes hands down! I can’t listen to it…X-mas songs are suppose to be happy…not sad! 22. What is your favorite Christmas song? “All I want for Christmas is You” & not the Mariah Carey version…I like the version sung by Olivia Olson, which is from the movie, “Love Actually”. Then I love, “Baby it’s Cold Outside”. Posted on November 13, 2011 by Jenn H.
Happy Sunday, everyone! It was an absolutely beautiful day here in sunshiny Orlando, FL! I think it only got in the mid seventies, which was perfect weather for walking around the Downtown Disney Marketplace. This weekend was The Festival of the Masters at Downtown Disney, so me and my bestie decided to make an afternoon of it! 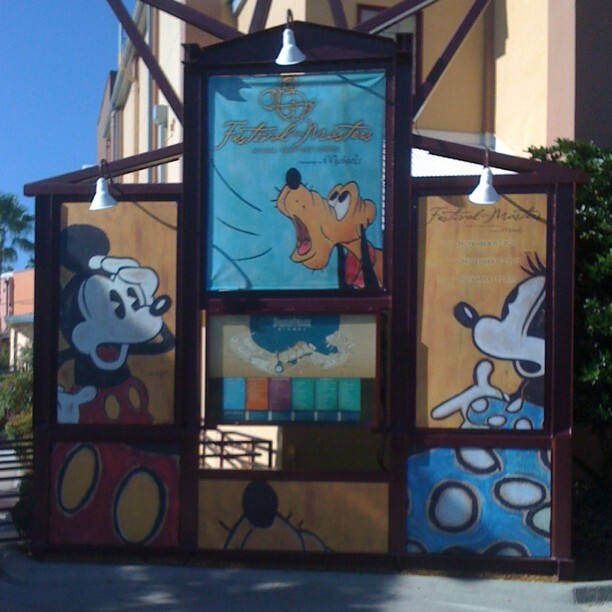 As described on the Disney website, the 36th Festival of the Masters presented by Michaels® is a vibrant, open-air art festival in the Downtown Disney area. Featuring more than 150 award-winning artists, this world-renowned show is a highly anticipated annual event for Guests, artists, collectors and art lovers. Showcasing one-of-a-kind and limited-edition painting, photography, sculpture, jewelry and more, this prestigious show is ranked among the country’s finest outdoor art festivals. And there’s a lot more to enjoy, like amazing chalk art, live music, specialty foods and family-friendly activities. When we first walked in, it was all Disney art, which was absolutely freaking amazing! I was in absolute heaven and I was so glad payday wasn’t until Tuesday, or this chica would have been broke as hell by the time she left! I’ve been a huge fan of all things Disney since I was very young and I really love Disney inspired art work. It’s just phenomenal! I didn’t think to bring my camera with me, but I was able to snap a few good shots on my handy dandy iPhone. 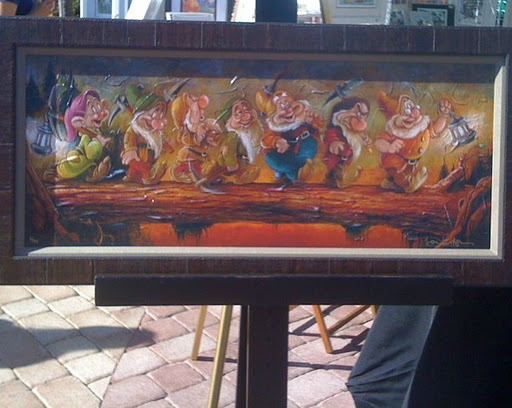 This painting of the seven dwarfs was one of the first paintings I came across and instantly fell in love with all of the vibrant colors and brilliant amount of texture. It’s pretty impossible to see the texture in the photo, but it was really well done the way they did it and it gave the painting a very rustic look. I loved it, but I didn’t love the price tag attached to this baby! Next up were some of these little beauties. I love any kind of a painting with Walt Disney & Mickey Mouse! Walt has always been someone I look up to and is such an awesome icon. Without Walt…there wouldn’t have been a mouse. And with no mouse…I just don’t know if I can even fathom the thought! We walked through all of the art work on display, but kind of lost interest once the art work was no longer Disney themed. They started you off with Disney & from that point my expectations were set & when you’re in a Disney mood…no other artwork compares! Granted there were a few neat paintings that caught our eye. There was a booth where a lady would take a whole bunch of photos of your dog and she would form them into this awesome collage, so the big picture looked like a photo of your pet, but when you looked up close, it was composed of all sorts of little pictures of the pet…very cool! I wish I would have gotten the chance to see a whole lot more sidewalk chalk art. I was expecting to see a few artists doing that crazy 3-D sidewalk chalk drawings that I’m sure you’ve seen. 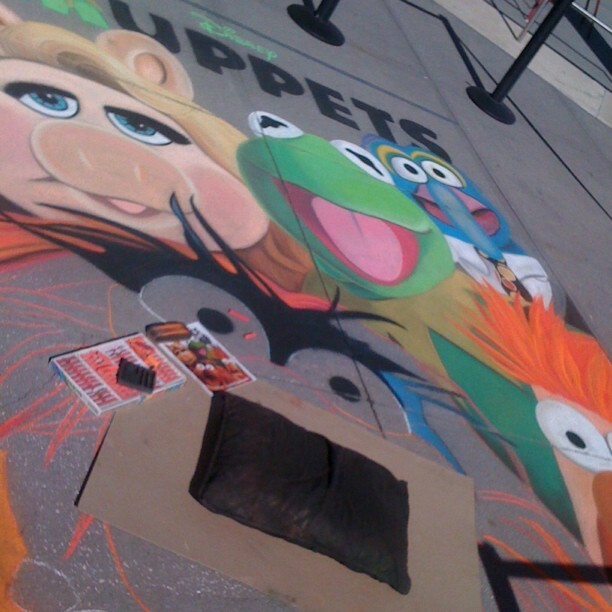 I didn’t come across any of those, but we did come across this work in progress of The Muppets. Isn’t it cool! The artist was working on it when we walked up, but her phone rang, so I snapped this shot while she was out of the picture. Pretty cool, huh? I can’t wait for the new Muppet movie to come out in theaters! I grew up on The Muppets & I still love them to this day! I love Beeker, Swedish Chef, Fozzie, Rolf, oh shoot…I love them all! Who is your favorite Muppet?? Inquiring minds want to know! After walking around for a couple of hours, our tummies were talking to us and telling us to go get some food, pronto! So, we ran through our options and decided to head to The Rainforest Cafe. There wasn’t much of a wait & they have an awesome outside dining area right along the water. Don’t you just love outdoor dining areas when the weather is gorgeous, like it was today? It’s my favorite! Well, the first thing on my list to order was a beverage, as I was quite parched. I scanned through the list and seen that they have a mango mojito. Well, after last weekend and experiencing my very first FROZEN mojito, I asked the waiter if it was possible to get the drink frozen, so he ran it by the bartender and they gave it a whirl & it was DELICIOUS!! Then it came time to order food & I decided on the Macadamia Nut Crusted Tilapia & Coconut Shrimp. OMG…the tilapia was out of this world!! I highly recommend this dish if you are heading to The Rainforest Cafe anytime soon! I would give it my highest rating possible…yes, it was that good! All in all, it was a pretty damn good time! After we ate, we did a little browsing in all of the different shops and started making our lists of things we wanted and would either be back for or they would be promptly going on our Christmas lists! Anyways, hope your Sunday was as good as mine! What did you do this weekend? Later gators! Posted on November 10, 2011 by Jenn H.
It’s link up time again with Gussy Sews for her Inspirational Workshop. This weeks prompt was: Dining Rooms. 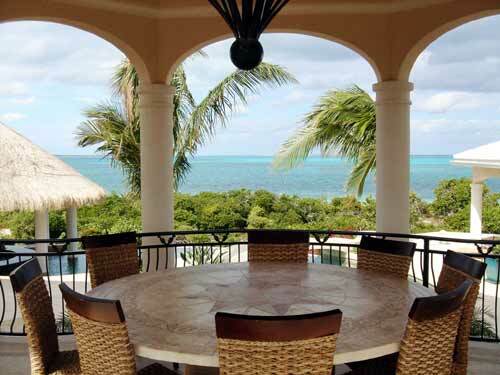 I’ve never really had a dream dining room of sorts. Growing up, we always ate together at the dining room table, which I loved. I really grew to appreciate those meals together over the years, especially when I’ve met so many people who just eat on t.v. trays in the living room watching t.v. & have no conversation except during commercials. So, it was weird to spend the night at a friends house and eat in front of the t.v. A lot of times, I would insist on staying at the table to eat, while they went ahead and sat in front of the t.v. & then I’d join them when I was done. That’s just what I was used to, plus I’m a klutz and didn’t want to spill anything. So a dining room to me is just a place for the family & friends to gather together for meals…no t.v.! Sometimes, we’d just set up a make shift dining room table via card tables and lawn chairs out in the garden and sit by a bonfire and cook up hotdogs & smores. That’s one of my favorite things to do, growing up in the country. Since I love the outdoors…when the bugs aren’t in full force…that’s where I enjoy eating the most. Outside…enjoying the view and taking in the fresh air and enjoying good conversation. 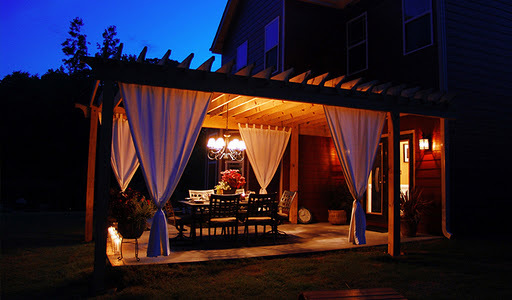 So I picked out a few of my favorite outdoor dining room areas below. Hope you enjoy! Posted on November 6, 2011 by Jenn H.
Happy Sunday, everyone! Hope everyone took advantage of that extra hour we gained today! I got up & did some cleaning and then went to a movie around 11am. After that, I headed for the Altamonte Mall to check out a sale. What a nice mall, wish I would have checked it out sooner! Anyways, I decided to go see “A Dolphin’s Tale”, as I’ve been wanting to see it, since I seen the first previews. After watching it, I kick myself for not going into marine biology, like I wanted to when I was growing up. Put me in a tank with some dolphins, manatees, turtles, etc…you’d have one happy girl! I may just have to settle, by finding a volunteer position somewhere, but wouldn’t it be great to get paid doing something that you absolutely love?! 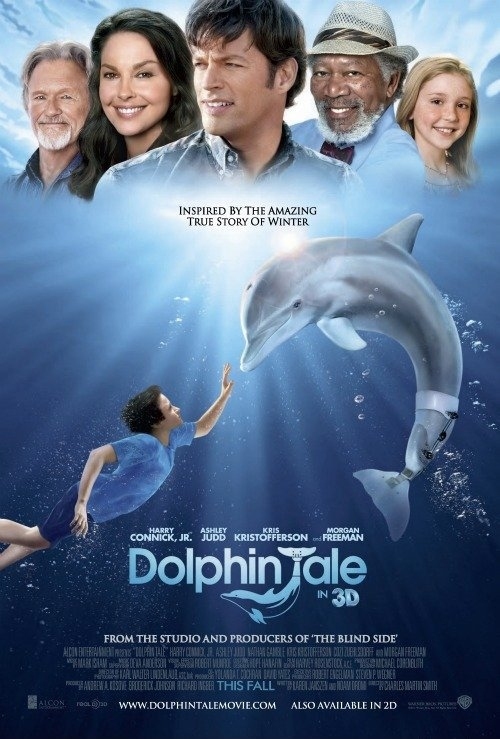 A Dolphin’s Tale” has my favorite Harry Connick Jr., along with Morgan Freeman, Ashley Judd & Kris Kristofferson, just to name a few names you may know right off the bat. The youngsters of the movie, Nathan Gamble and Cozi Zuehlsdorff really did a magnificent job in the movie & I’m sure this won’t be the last time we see the young stars! This movie is all about a dolphin who was injured by getting tangled up in a crab trap. 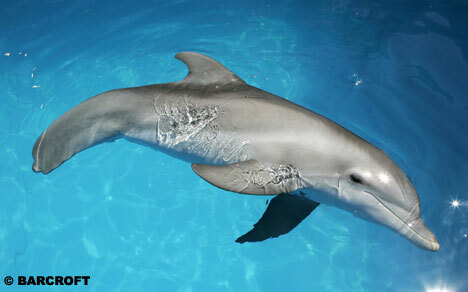 The dolphin was taken in by a vet, played by Harry Connick Jr., who ran a marine animal hospital. The dolphin was named Winter by the vets daughter. The young boy that found the dolphin goes to the animal hospital to check on Winter and ultimately befriends him and helps in Winter’s rehabilitation. Unfortunately, due to the extent of the damage to Winter’s tail, they had to amputate. The boy then motivates everyone around him in helping save Winter by having a prosthetic tail made for the dolphin & won over the hearts of everyone! There is a lot more to the story, but you’ll have to go see it for yourself! You won’t be disappointed! You get that feeling, when you’re watching the movie that I would have to describe as when the Grinch’s heart grew three sizes…it just warms your heart to the very core and makes you smile from ear to ear. It’s really a magnificent story, which is true by the way! At the end, I found out the actual home of Winter is only two hours from Orlando, down in Clearwater, FL, so I think I’ll be making a trip down to visit this awesome creature in the near future. I wish it was closer, so I could do some volunteer work at the aquarium, but I’ll have to look and see if there are any marine animal rescues a little closer to Orlando. For those of you that don’t live in the sunshine state & would like to see Winter the dolphin, just go visit the website: http://www.seewinter.com and they have a web cam so you can see the dolphins playing in the pool. Very cool! 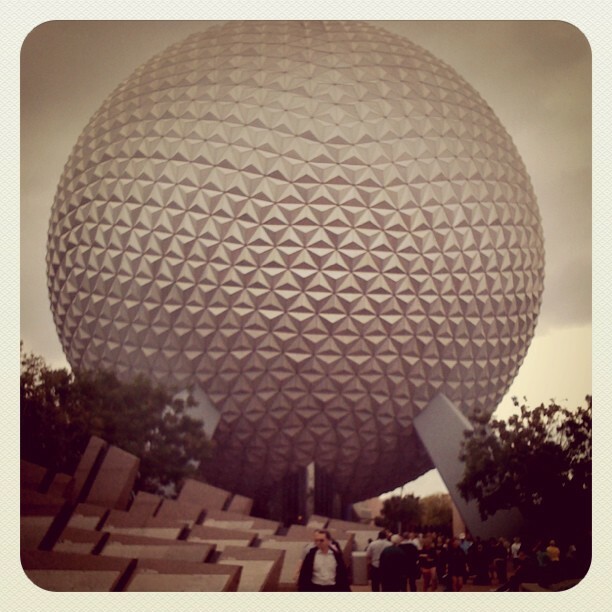 Today I got up nice and early & headed to the Epcot International Food & Wine Festival! I was super excited to get to go to Epcot since I hadn’t been since 2003, so I new they had added a few things since then. Lucky for me, since I haven’t bit the bullet and bought an annual pass since moving to Orlando, that I know lots of people that work there and was able to get a discounted ticket. I was a bit bummed to find out some of the people I thought who were going as well, decided not to come, so I hoofed it alone today through the park. I managed to last from 9:00am – 3:00pm, after that I couldn’t entertain myself any longer. If I would have had someone to pal around with, I would have tried to stay until 10:00pm in order to see the fireworks. Fireworks aren’t really my thing, but Disney does them best! The first ride I headed for, after I arrived, was “Soarin”. It was a pretty darn cool ride! You basically seat belt yourself into your seat on this long bench & then it takes off and gives you the feeling that you are hang gliding in all of these different places around the world…over the Golden Gate Bridge, thru mountains, over the ocean, over the orange orchards, etc… It was cool that you could smell the oranges, when you were going over the orange orchard. Not sure if there were supposed to be scents with any of the other areas, if there were, I didn’t notice. After that, I headed over to “The Seas” to visit my favorite manatees. 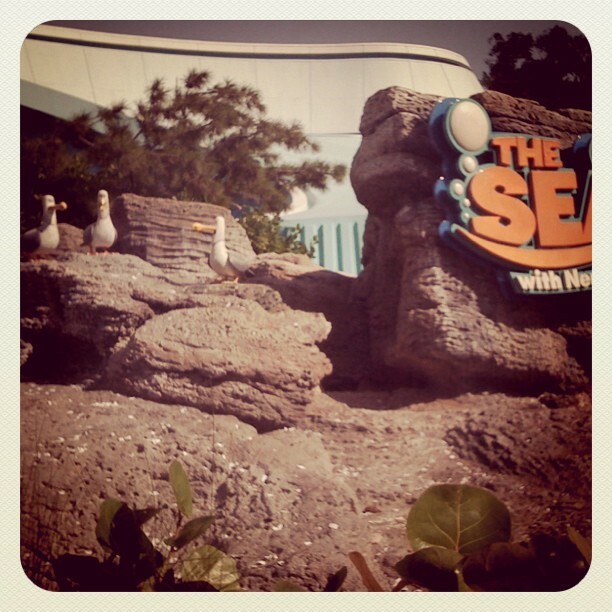 As you are walking up to “The Seas” building…you see the “The Finding Nemo” characters in the flower bed areas, but then it completely cracked me up when I walked by the actual sign and the sea gulls from Finding Nemo start yelling, “Mine, Mine, Mine, Mine”. It totally took me off guard and startled me a bit because I wasn’t expecting it, but it made my day…so funny. Unfortunately, my manatees weren’t in there tank/viewing area…they decided to swim out of the area and didn’t come back in where I could see them. Oh well, there are viewing areas throughout central Florida, so I’ll just have to go check them out in their actual habitat one of these days. 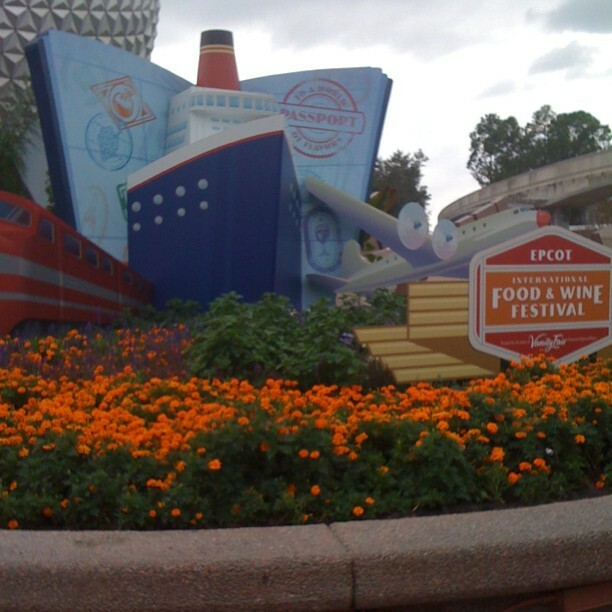 By the time I got out of “The Seas” area, I was a little hungry, so I headed over to the Food & Wine Festival for some good eats. My main goal was Germany & my mission was accomplished! First thing I had was Nurnberger Sausage in a Pretzel Roll with mustard, which was delicious as expected! 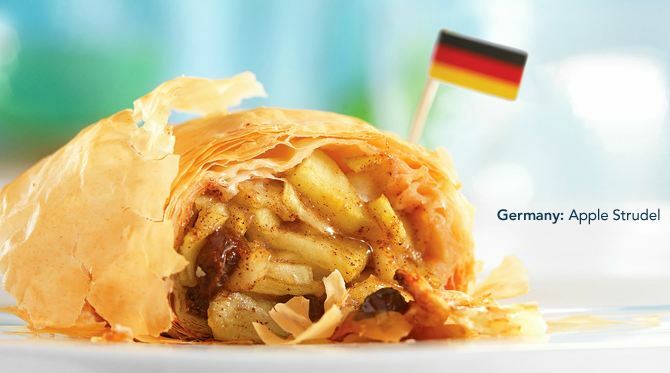 I knew I’d be coming back to the Germany booth a little later in the day. Next goal was to hit up the Caribbean booth for a Frozen Rock Coconut Mojito….I had no idea there was a such thing as a frozen mojito, as regular mojitos are one of my favorite drinks! OMG….this sucker was yummy and it was gone in no time flat. It definitely had some kick, which I didn’t realize until I got up after drinking it…woo-hoo! While I was at the Caribbean booth…the line was kinda of long, so I decided to go ahead and try the Ropa Vieja (Braised Beef) with white rice & it was pretty tasty, as I don’t typically eat beef. Well, after I ate that, the crowds had really picked up….like New York City street busy, so I just hopped on the ferry which takes you straight to Germany…Perfect! So I got in line again, but this time around it was time for dessert, so I got the Apple Studel with carmel and vanilla sauces…YUMMO! Guess what? 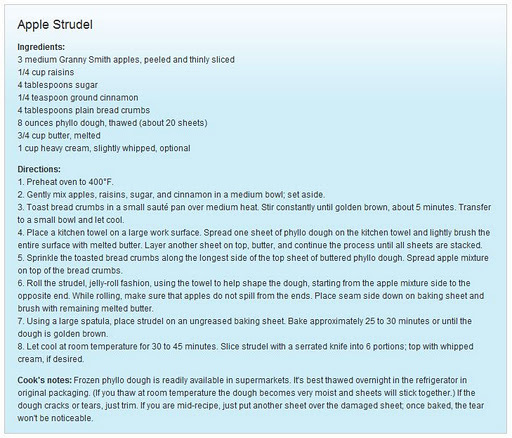 The recipe was on the Epcot website, so I’ll put it below along with a link back to the page because they had several yummy recipes from the festival that you may like to try. Posted on November 3, 2011 by Jenn H.
Wow…can you believe it’s November already!! Boy has this year flown by fast! Well, don’t forget you can slow down time a bit by setting your clocks back an hour. 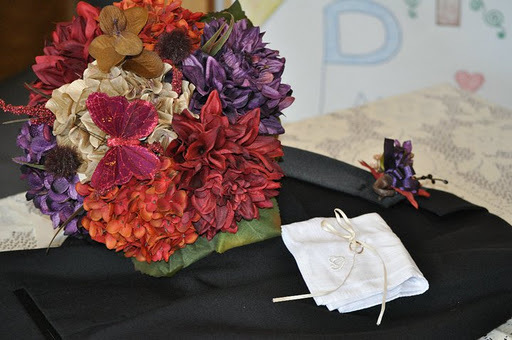 Well, it’s Thursday, so that means I’m linking up to the Inspiration Workshop over at Gussy Sews & this week the prompt that was sent out was: Flowers. 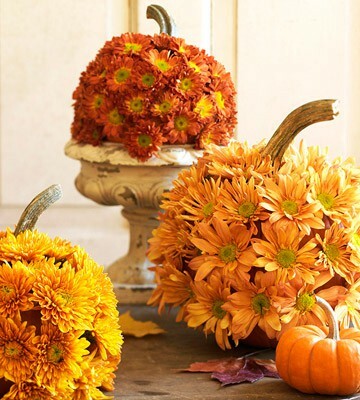 I love fall and all the gorgeous colors, so I headed over to Pinterest for some awesome inspiration. Hope you like what I found to share! 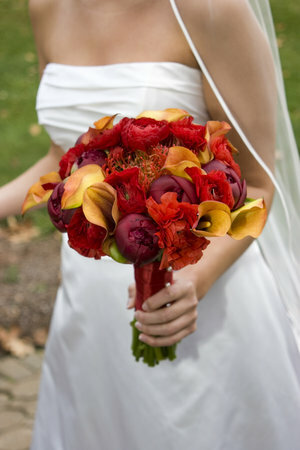 Another Fabulous Wedding Bouquet…Love the Colors!